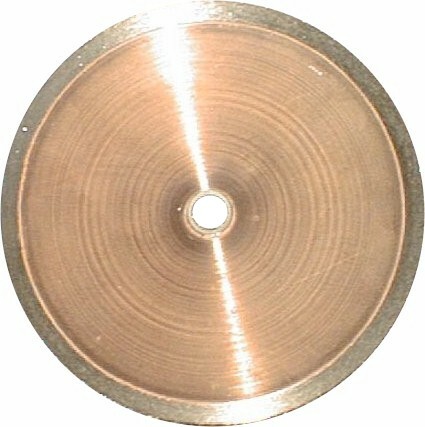 Diamond Sectioning Saws, cross sectioning, failure analysis. 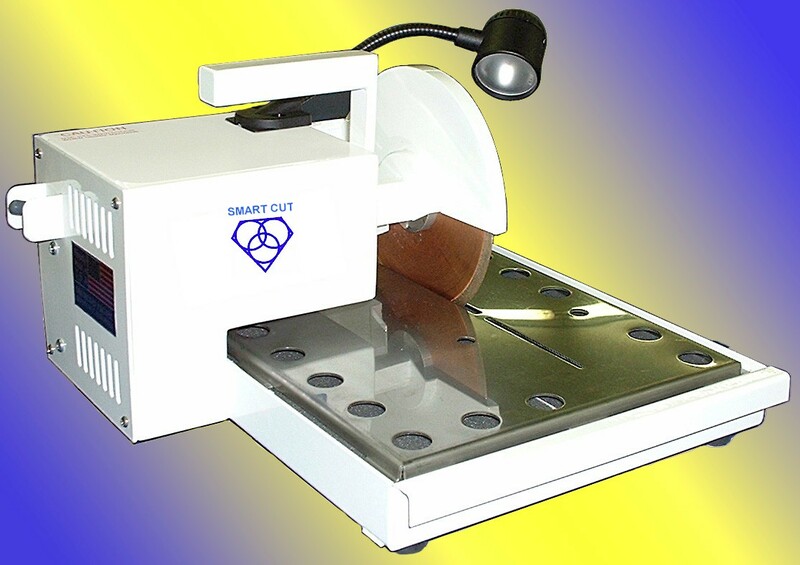 Fast & Precision sectioning of printed ciruit boards, ceramic substrates, electronic packages, and many other materials. 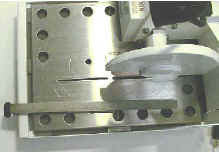 Coolant is stored below and applied to sample by rotating the blade. Saw table has a large working area and no inhibiting lip. 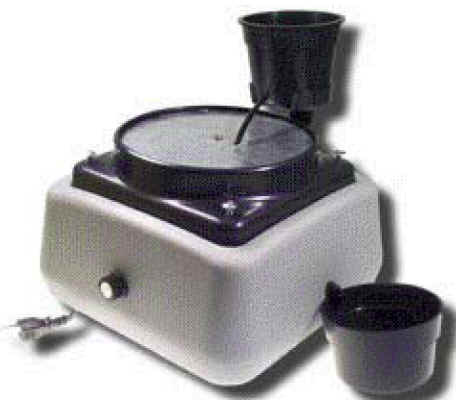 The durable housing is made from all metal, with pan and table from stainless steel. Housing and pan have an industrial powder coated finish for great looks and long life. This unit is equipped with a special angle block that allows you to finish section edges of your specimens at a ten degree angle, giving you a head start towards the next step in your failure analysis / sample preparation process. 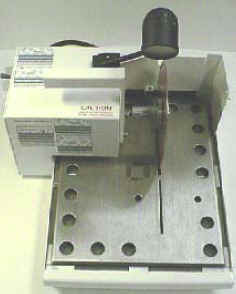 The saw also comes with an optional Rip Fence attachment that will allow you to make uniform sections from your sample. 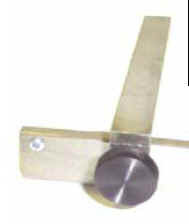 This accessory easily attaches to front lip of the saw pan and is adjustable to almost any width. 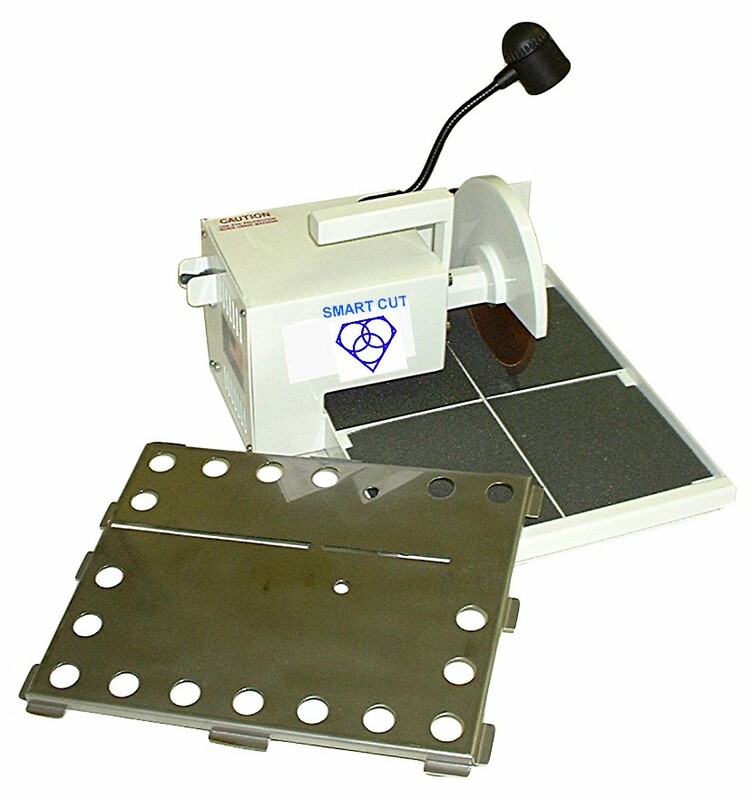 The saw comes equipped with a high torque, permanent magnet D.C. motor that has plenty of powder for sectioning any sample hardness. Motor has Ground Fault Circuit Interrupter to protect against electrical shock. Stainless steel table is removed to reveal the four compartments in the pan, each containing a sponge. 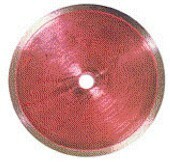 Coolant is added to the sponges that control supply of coolant to the blade. Excess coolant is held in sponges preventing spills and coolant sprays. This unit is equipped with a special angle block that allows you to finish section edges of your specimens at a ten degree angle, giving you a head start towards the next step in your sample preparation process. 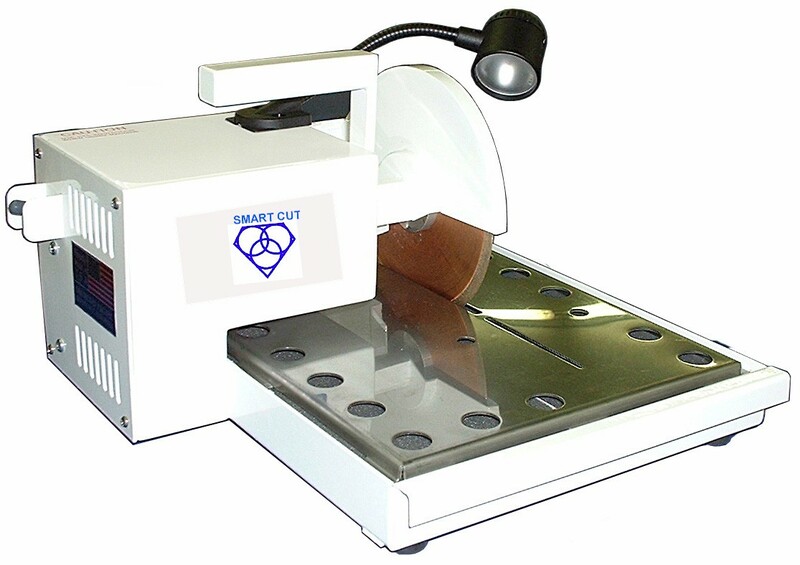 Saw also comes with an optional Rip Fence attachment (sold separately) that will allow you to make uniform sections from your sample. Super Large surface work area. (cut specimens as large as 12" long and 1/2" thick. 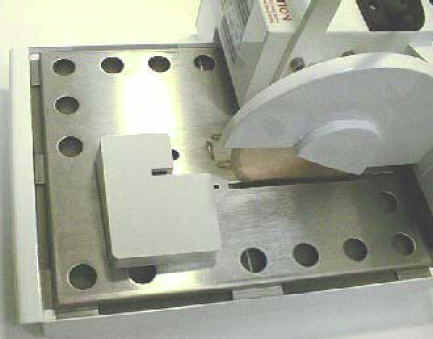 Allows you to section samples with 10 degree angle. Any Mesh Size or Diamond Concentration. We will work with you to determine your needs, and recommend the right parameters for your specific material / application.